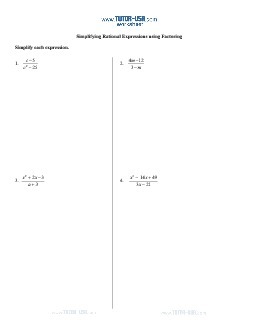 This worksheet contains problems where students must use factoring to simplify, multiply, and divide rational expressions involving polynomials. Most problems on this worksheet require the factoring of polynomials and dividing out of common factors. 7. To factor rational expressions.